With years of experience and thousands of successfully completed escrow transactions, Citrus Heritage Escrow has earned a reputation of providing the highest level of service. Our staff consists of knowledgeable, passionate and flexible professionals who continuously exceed expectations. Citrus Heritage Escrow provides services with a high degree of honesty and integrity. 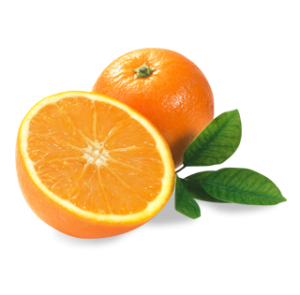 Citrus Heritage Escrow’s main goal is to close escrows in compliance with current laws and regulations, while keeping our clients pleased and satisfied. We are a full service escrow company and specialize in a variety of closings. At Citrus Heritage Escrow, we make buying and selling easy. We have built a trusted name as an escrow company in Riverside. We work closely with local Riverside real estate agents and loan officers. Our knowledge of the Southern California area gives us the first-hand experience needed to complete successful escrow transactions that are compliant with all local laws and regulations. With thousands of successful escrows in Riverside County, Citrus Heritage Escrow has a proven track-record that you can trust. At Citrus Heritage Escrow, we believe that buying and selling real estate should be easy. We will guide you through the entire process and are available to you every step of the way. We are a full service escrow company and we specialize in a variety of real estate escrow closings. When choosing an escrow company there can be many important factors to evaluate. Fees, location, staff and even recommendations from friends and colleagues are all things to consider. With Citrus Heritage Escrow by your side, you can rest assured that when you receive your settlement check, you’ve gained the maximum benefit from your home sale or purchase. We offer quick and efficient service with a knowledgeable staff to back it up. Our centrally located offices in Riverside mean that we are always easy to access whether you just need to stop by to drop off documents or you are signing your final papers. We don’t have any hidden fees, so you don’t have to worry about unexpected closing costs eating up your hard-earned profit from your real estate sale. At Citrus Heritage Escrow, we pride ourselves on being different from our competition. As an independent Riverside escrow company, we have the knowledge, background and experience you need when it comes to real estate escrow. We are licensed, bonded and insured, and our professional staff is here to serve you with your utmost satisfaction in mind. In other words, we take every step necessary to ensure that you receive the best possible experience from us every time. You may be considering a broker-owned escrow department or a title company escrow department rather than an independent escrow company. However, we encourage you to take a closer look at the rigorous qualifications we meet as an independent escrow company. California Department of Real Estate (DRE) – The DRE is responsible for the administration and enforcement of the Real Estate Law and Subdivided Lands Law. Licensees include real estate brokers and salespersons, prepaid rental listing services and mineral, oil and gas brokers. Real estate brokers may also act as mortgage brokers. Escrow Information from the DRE – Chapter 8 of the DRE reference book explains what escrow is, essential elements, instructions and other principles. In this PDF, you can learn more about the technical ins-and-outs of escrow directly from the California Department of Real Estate (DRE). Report Escrow Violations – In California, escrow processing can be performed under various forms of licensure. Most commonly, real estate related escrows are performed by independent escrow companies licensed by the California Department of Corporations. To determine if a specific escrow company, title company or real estate broker with an escrow division has been the subject of administrative action, please visit this link.